Ellen Meister introduced readers to the ghost of Dorothy Parker in Farewell Dorothy Parker, imagining a spirit who refuses to cross over into the afterlife and is quite happy about it, thank you very much. By the opening of Dorothy Parker Drank Here, however, Parker is lonely in her decision, trapped in the halls of the Algonquin Hotel with a staff alternately annoyed by and terrified of her. So she sets out to find some company, some earthly soul who will agree to choose the Algonquin, when the time comes, over the bright light that has called to all the others she might have passed the time with. Parker believes she has found the perfect candidate in Ted Shriver, a reclusive author whose career ended in a plagiarism scandal decades earlier. Though she thinks Shriver will be an easy sell, she is surprised to find him stubbornly opposed to her proposal. The traditionally independent Parker finds herself uncharacteristically looking for help convincing him, and finds it in Nora, the young producer of a dying television show--though Nora, as it turns out, has her own reasons for wanting to speak to the aging writer. 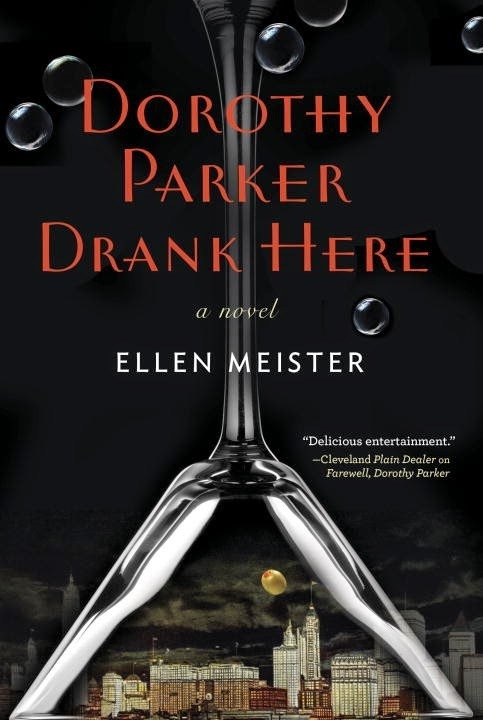 Dorothy Parker Drank Here is a wild ride, pairing the well-researched wit of Dorothy Parker with a contemporary story of success and failure, romance and family. Meister's brilliant interpretation of Parker's ghost in the modern world keeps the novel from ever veering into the land of cliché as she brings to life--or rather, brings to ghostliness--the spirit of one of the most famous writers of the Algonquin Round Table. A copy of this title for review was provided by the publisher. Ah, I love a good tale about a ghost, and who doesn't love some nostalgia about the Algonquin round table? Putting on list in 3-2-1. And a snarky ghost, at that!